Duke Keller, Jr. - Weycer, Kaplan, Pulaski & Zuber, P.C. Attorney - Weycer, Kaplan, Pulaski & Zuber, P.C. Mr. Keller advises and represents clients in the areas of real estate, construction, and business and commercial law matters. 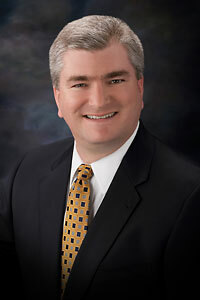 In his real estate law practice, Mr. Keller represents clients in the acquisition, sale, development, leasing, investment, and financing of real estate, and in the negotiation and preparation of contracts of purchase and sale concerning undeveloped land, commercial property, office-warehouse projects, restaurants, condominiums, townhomes, and single family residences. He advises clients in the development of residential subdivisions, condominium complexes, and townhomes. Mr. Keller represents landlords and tenants in the negotiation of complex leases regarding all types of properties. He advises clients on matters related to foreclosures, title issues, boundary disputes, survey examination, easements, and other real property matters and agreements. Mr. Keller has closed real estate transactions as an Escrow Officer licensed by the Texas Department of Insurance. In his construction law practice, Mr. Keller represents builders, remodelers, general contractors, subcontractors, materialmen, vendors, and property owners in all facets of construction transactions and disputes, including lien practice and construction defect matters. In his commercial law practice, Mr. Keller represents clients with contracts and other commercial and transactional documentation, resolving business, commercial, and contract disputes, and advising businesses on a wide variety of legal matters affecting their operation and commercial transactions. Represented Purchaser on the acquisition and financing of a Class A three office building complex in Houston, Texas, containing approximately 1,100,000 square feet. Transaction value approximately $172,000,000. Represented Purchaser on the acquisition and financing of a Class A retail center on the Las Vegas Strip, Nevada, containing approximately 93,000 square feet. Transaction value approximately $93,000,000. Represented Owner in the financing and construction of a Class A mixed use office and manufacturing facility in Houston, Texas. Transaction value approximately $17,000,000.